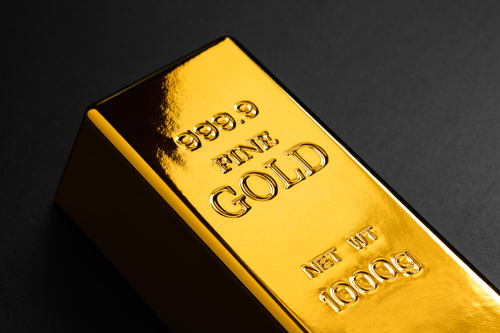 Precious metals futures posted gains in their start to the new trading week on Monday. Gold for December delivery settled up $2.70, or 0.2%, to $1,216 an ounce on the Comex division of the New York Mercantile Exchange. The finish was the best since Aug. 10. "The precious metal advanced on the greenback as NAFTA deal optimism cancelled out some of the trade war concerns in August," MarketWatch quoted Alfonso Esparza, senior currency analyst at OANDA. On Monday, President Trump announced a preliminary trade deal with Mexico. Gold futures ranged from a low of $1,209.30 to a high of $1,218.80. Last week they rallied 2.5%, for their first weekly gain in three weeks. Elsewhere, silver for September moved up 6.5 cents, or 0.4%, to settle at $14.859 an ounce. The settlement was the strongest since Aug. 14. Silver futures traded between $14.71 and $14.89. They rose 1.1% last week, for their first weekly increase in eleven weeks. October platinum rose $14.80, or 1.9%, to $804.20 an ounce, ranging from $787.40 to $805.90. Palladium for September delivery gained $13.30, or 1.4%, to $941.90 an ounce, trading between $927 and $945.40. Last week, platinum rose 1.6% and platinum jumped 5.8%. Gold rose $5.35, or 0.5%, to 1,197.70 an ounce. Silver fell a half cent to $14.62 an ounce. Platinum added $3.50, or 0.4%, to $786 an ounce. Palladium rose $17, or 1.9%, to $932 an ounce. In LBMA results last week, prices increased 1.6% for gold, 0.9% for platinum and 4.1% for palladium while those for silver slipped 0.3%. United States Mint bullion sales increased by 2,000 ounces in American Eagle and Buffalo gold coins and by 200,000 ounces in American Silver Eagles. Initial sales for the 5-ounce Cumberland Island National Seashore bullion coin were not available at the time of this writing.